Barbecue sauce makes anything delicious, according to some. So what sets the Old Glory All American Bar-B-Que in Georgetown apart from the rest? Just about everything. This two-story saloon-style restaurant full of booths and bar stools, paper table clothes, and down-home décor (including a lot of Elvis memorabilia) alone is enough to set it apart from the rest. Guests can sit in the well-lit dining area, or take a seat on the back deck for a view of the downtown area. Music never ceases to play in the background and the staff is happy and hospitable. Needless to say, the atmosphere is loud in making a southern impression. The food, as well, speaks for itself. 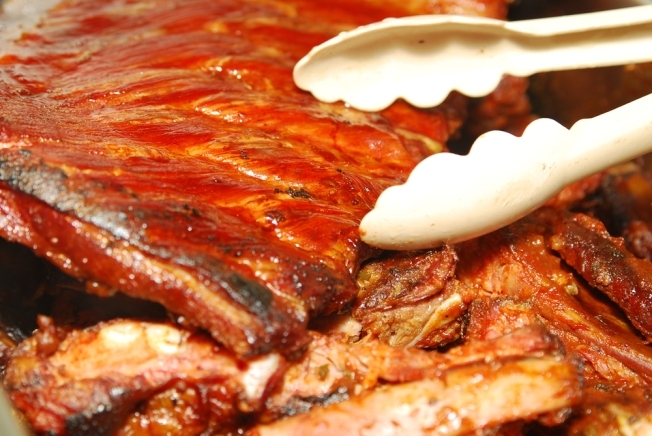 All the barbecue meats-- ribs, pulled pork and chicken, brisket, and many others are slowly smoked over hickory, giving it the authentic bourbon taste. To top these off, six different types of homemade barbecue blend sauces are offered, all of which conveniently stay at the table while you dine. However, if you’re not big into the flavor of barbecue or want some variety, plenty of non-barbecue items are on the menu. Some of the most popular are the Creole fish catfish wrap, buttermilk fried chicken, and the sizzling skillet steak. With each entrée come two sides chosen from a list of 12 that includes mashed potatoes and Creole gravy, crispy fries, amazing coleslaw, sweet potato French fries and other delicious novelties. Along with all this, the menu also offers a variety of salads, popular appetizers such as the Graceland Nachos and the fried chicken fingers, and a Sunday brunch served from 11 a.m. until 3 p.m.
As imagined, the dress code is usually casual and comfortable. Be sure not to wear white or anything you’re terribly fond of because there’s a good chance you could leave with some barbecue stains. The vibe is very family-oriented so don’t fear checking out the place with your family. When nighttime rolls around, get ready for college kids to invade, as it is right in the heart of Georgetown. Old Glory is open Monday through Thursday from 11:30 a.m. until 2 a.m., Friday and Saturday from 11:30 a.m. until 3 a.m., and then on Sunday from 11 a.m. until 2 a.m. The place is an easy drive to Georgetown and conveniently located near the Foggy Bottom metro stop, off of the blue and orange lines. The Old Glory All American Bar-B-Que, 3139 M Street NW (near the corner of Wisconsin and M Street,) Washington, D.C.